We’d like to thank Coconut Grove, the BID, the Chamber, NET and everyone who helped make April 26 so much fun. Below is a selection of stores that supported the event. We hope you had as much fun as we did and that you will continue to support the businesses that are supporting community through events like Bike Miami Days! Coconut Grove is a thriving neighborhood of families, small businesses, cafes, shops and parks. Walking into BRENDA’S BOUTIQUE, located on Fuller Street, is like walking into dream closet. There are handmade treasures from floor to ceiling, and special items on sale throughout Bike Miami Day. SMOOTHIE KING opens early (8am): Buy A Smoothie & Get One Free! Be sure to say hello to Chris and all the friendly guys, just across from CocoWalk. ELEVEN LEPRECHAUNS: Where to begin? Everyone gets a free mimosa and special lunch menu for $8.99 (Salad, Sandwich or Pizza & Soft Drink) from 9 to 5pm. During the FREE Model Citizens Improv Show from 12noon to 4pm, Bike Miami Days volunteers will get VIP treatment for the TransitMiami.com Official AfterParty. At 5pm, everyone enjoys 2 for 1 drinks. CALAMARI ITALIAN SEAFOOD: The Grove’s newest restaurant (on Main Highway and Franklin, site of the old Taurus) will be offering a complimentary mimosa or lemonade to all Bike Miami Days Participants who join them for lunch or dinner. Free Bicycle Valet Parking at CocoWalk – cyclists are welcome to valet their bikes with the Green Mobility Network in the secure, covered store space just behind Maui Nix in the CocoWalk Courtyard. RITCHIE SWIMWEAR, one of the longest-running businesses in Coconut Grove, will open early for Bike Miami Days so everyone can have a chance to shop at this Grove icon shop. ColorMeMine will also open early, and offer you the chance to people-watch while to paint ceramic platters, mugs, figurines and more from the steps of their Main Highway location. SWEET DREAMS Bakery & Cafe opens next to the Eleven Leprechauns Pub on April 26, just in time! Stop by the Volunteer Fair or their Commodore Plaza location for free samples. SEKAI Asian Bistro will open at 9am. They’ll be offering passing cyclists free cold Orange Fanta and to the 21 and over, their new signature Grove Margarita Splash Absolut Orange Cocktail. The Windisch-Hunt Gallery invites you to an open reception for their touring show of Mail Art from 2-4pm. Stop by before 2pm to see the Grove’s most creatively painted bicycle from the windows of their Mayfair Gallery. The HiPPO Children’s Boutique will be giving 20% off to everyone who visits them during Bike Miami Days. Located next to Ludo’s Italian Restaurant on Main Highway, HiPPO features gifts for babies, kids and mamas. A beautiful store. Visit The Bookstore in the Grove on the northeast corner of the route and enjoy 10% off all books and gifts. Leave your bike at one of Miami’s coolest bike racks, installed courtesy of Leadership Miami. A true Europen-style bookshop & cafe. REVOLUTION Bike Shop is offering 20% off all Bike Accessories. BICE Bistro at CocoWalk invites you to brunch at 11am. They will be offering 10% off your meal. Koko & Palenki offers 15% off all regularly priced items in their store. They will open at 9:30am so you can get in early! SPARKLE PLENTY & HIBISCUS HILL, both on Grand, are offering 10% off from 9:30am. The beautiful Atchana’s East/West Kitchen offers you a warm welcome to the Mutiny Hotel, offering 15% off brunch starting at 7am. The Grove’s AuthenticThai Restaurant will be open all day. Arts & Minds is hosting a free Bike Valet until 4pm. Conveniently located next door to Eleven Leprechauns, Arts & Minds also features its own outdoor brunch cafe, the Al Fresco Restaurant, and gallery space for the Arts & Minds High School. Al Fresco Restaurant is offering a $7.95 brunch special from 9am – A good place to watch the professional artists creating a mural in the middle of Commodore Plaza! Tula and Tupi offers 20% off all regularly priced items in their Children’s Boutique. Enjoy 10% off your lunch at Jaguar Ceviche Spoon Bar from 11am. Purchase $75 or more at G by Guess and receive 25% off. FUNKY URBAN – Miami’s t-shirt brand – is offering 20% off everything in their McFarlane store (next to the Britto Gallery). Cafe Brasserie at the Doubletree will open at 6:00am! and offer 10% of your check through 2pm. Pineda Covalin offers 10% of accessories from 9:30-2. 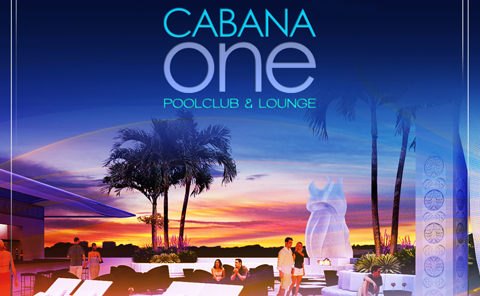 VIP AFTERPARTY will be hosted by Cabana One, located on top of the Mayfair Hotel. Relax by the pool, enjoy 360* views of the Grove and Miami. Opens at 12noon. Guests wearing orange or mentioning Bike Miami Days will enjoy $5 martinis and $2 off all beers. Zen Village, located just 3 blocks from the route on Main Highway, welcomes you to visit their free Open House, from 9-2. Smoothie King in the Grove will open one hour early at 8am on Sunday, April 26 in honor of Bike Miami Days and feature a buy one get one free special from 8am – 2pm for all participants!!! Pingback: Today is Miami Bike Day in Coconut Grove!